Alves, H., Koch, A., & Unkelbach, C. (in press). The differential similarity of positive and negative information—An affect-induced processing outcome? Cognition and Emotion. Gräf, M., & Unkelbach, C. (in press). Halo effects from agency behaviors and communion behaviors depend on social context: Why technicians benefit more from showing tidiness than nurses do. European Journal of Social Psychology. Högden, F., Hütter, M., & Unkelbach, C. (in press). Does evaluative conditioning depend on awareness? Evidence from a continuous flash suppression paradigm. Journal of Experimental Psychology: Learning, Memory, and Cognition. Unkelbach, C., & Förderer, S. (in press). A model of attribute conditioning. Social Psychology Bulletin. Unkelbach, C., & Greifender, R. (in press). Experiential fluency and declarative advice jointly inform judgments of truth. Journal of Experimental Social Psychology. Koch, A. S., & Imhoff, R. (2016). Towards an ecologically valid model of spontaneous stereotypes about groups. The Brunswik Society Newsletter, 31, 25–27. Fiedler, K., Hofferbert, J., Woellert, F., Krüger, T., & Koch, A. S. (2015). The tragedy of democratic decision making. In J. P. Forgas, K. Fiedler, & W. D. Crano (Eds. ), Social psychology and politics (pp. 193–208). New York, NY: Taylor & Francis. Forgas, J. P., & Koch, A. (2013). Mood effects on cognition. In M. Robinson, E. Watkins, & E. Harmon-Jones (Eds. ), Handbook of emotion and cognition (pp. 231–252). New York, NY: Guilford Press. Greifeneder, R., & Unkelbach, C. (2013). Experiencing thinking. In C. Unkelbach & R. Greifeneder (Eds. ), The experience of thinking: How the fluency of mental processes influences cognition and behaviour (pp. 1–7). New York, NY: Psychology Press. Koch, A., Forgas, J. P., & Goldenberg, L. (2013). In the mood to break the rules: Happiness promotes language abstraction and transgression of conversation norms. In J. P. Forgas, O. Vincze, & J. László (Eds. ), Social cognition and communication (pp. 83–100). New York, NY: Psychology Press. Unkelbach, C., & Greifeneder, R. (2013). A general model of fluency effects in judgment and decision making. In C. Unkelbach & R. Greifeneder (Eds. ), The experience of thinking: How the fluency of mental processes influences cognition and behaviour (pp. 11–32). New York, NY: Psychology Press. Unkelbach, C., & Greifeneder, R. (2013). The experience of thinking: How the fluency of mental processes influences cognition and behaviour. New York, NY: Psychology Press. Unkelbach, C., & Greifeneder, R. (2013). Thinking about "experiences of thinking": Fluency in six principles. In C. Unkelbach & R. Greifeneder (Eds. ), The experience of thinking: How the fluency of mental processes influences cognition and behaviour (pp. 257–261). New York, NY: Psychology Press. Unkelbach, C., Goldenberg, L., Müller, N., Sobbe, G., & Spannaus, N. (2010). A shooter bias in Germany against people wearing Muslims headgear. International Review of Social Psychology, 22, 181–201. Unkelbach, C., & Memmert, D. (2010). Crowd noise as a cue in referee decisions contributes to the home advantage. Journal of Sport & Exercise Psychology, 32, 483–498. Fiedler, K., Blümke, M., & Unkelbach, C. (2009). Exerting control over allegedly automatic associative processes. In J. P. Forgas, R. F. Baumeister, & D. M. Tice (Eds. ), Psychology of self-regulation: Cognitive, affective, and motivational processes (pp. 249–269). New York, NY: Psychology Press. Unkelbach, C., Plessner, H., & Memmert, D. (2009). "Fit" in sports: Self-regulation and athletic performances. In J. P. Forgas, R. F. Baumeister, & D. M. Tice (Eds. ), Psychology of self-regulation: Cognitive, affective, and motivational processes (pp. 93–105). New York, NY: Psychology Press. Unkelbach, C., Plessner, H., & Haar, T. (2009). 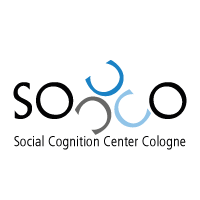 Soziale Kognitionen im Sport [Social Cognition in Sports]. In W. Schlicht & B. Strauss (Eds. ), Enzyklopädie der Psychologie, Themenbereich D – Praxisgebiete, Serie V, Sportpsychologie: Band 1: Grundlagen der Sportpsychologie (pp. 681–717). Göttingen, Germany: Hogrefe. Brand, R., Plessner, H., & Unkelbach, C. (2008). Basic psychological processes underlying referees' decision-making. In P. Andersson, P. Ayton, & C. Schmidt (Eds. ), Myths and facts about football: The economics and psychology of the world's greatest sport (pp. 173–190). Newcastle, UK: Cambridge Scholars Publishing. Fiedler, K., Blümke, M., Freytag, P., Unkelbach, C., & Koch, S. (2008). A semiotic approach to understanding the role of communication in stereotyping. In Y. Kashima, K. Fiedler, & P. Freytag (Eds. ), Stereotype dynamics: Language-based approaches to the formation, maintenance, and transformation of stereotypes (pp. 95–116). Mahwah, NJ: Lawrence Erlbaum Associates. Unkelbach, C., & Memmert, D. (2008). Game management, context effects, and calibration: The case of yellow cards in soccer. Journal of Sport & Exercise Psychology, 30, 95–109. Unkelbach, C., & Plessner, H. (2008). The sampling trap of intuitive judgments. In H. Plessner, C. Betsch, & T. Betsch (Eds. ), Intuition in judgment and decision making (pp. 283–294). Mahwah, NJ: Lawrence Erlbaum Associates. Weisbuch, M., Unkelbach, C., & Fiedler, K. (2008). Remnants of the recent past: Influences of priming on first impressions. In N. Ambady & J. J. Skowronski (Eds. ), First impressions (pp. 289–312). New York, NY: Guilford Press.